Even though even the headline sounds quite disgusting, we must inform you that a story published on the CNN website, reported this devastating information. Namely, the first case on the subject appeared in 2I13 in the UK, when a man was found to have a tapeworm wriggling through the brain. 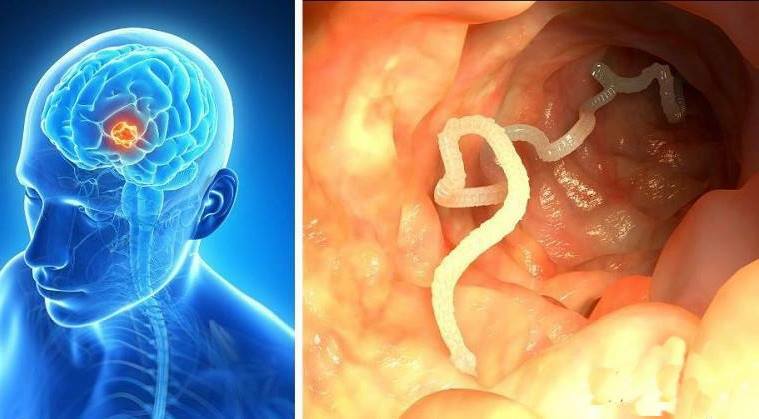 According to Dr. Effrossyni Gkrania-Klotsas, the worm had done something only a rare parasite species do, it moved from one side of the man’s brain to the other. Apparently, the man has recently visited China, which is one of the parts of the world where one species, called Spirometra Erinaceieuropaei, can be found, as well as in Japan, South Korea, and Thailand. Spirometra Erinaceieuropaei causes an infection known as sparganosis, which can be commonly found in dogs and cat and it can even grow up to 1.5 meters in length. Tapeworms may be also found in pork, as it can be affected in various ways. However, only three types of tapeworms can infect the brain of a human, when they infiltrate the nervous system. Taenia Solium may also inhibit the muscles of pigs and infect them, as in the case of Spirometra Erinaceieuropaei. However, according to Dr. Theodore Nash, around 5 million people worldwide are severely affected by the infiltration of these tapeworms of the brain. And what is the major cause of this phenomenon? And just how many people worldwide have been severely affected by tapeworm infiltration of the brain? According to experts, the scandalous conditions in which pigs are farmed nowadays explain a great part of the entire story. So we will give you one great advice, cook your pork properly.